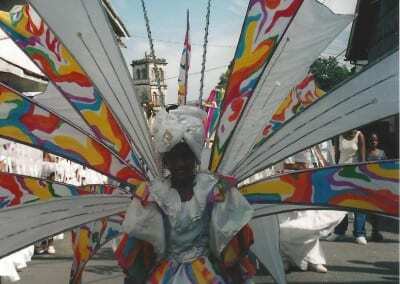 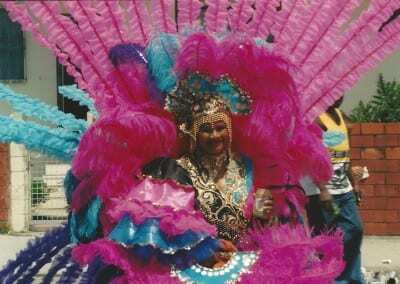 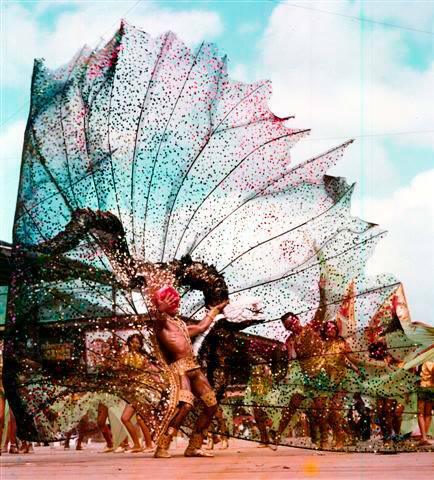 Dr. Algernon Felice (Trini) introduced us to Trinidad’s Carnival and we went to the island to study the great work of Mas Man Peter Minshall. 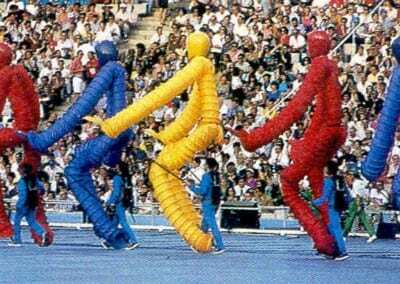 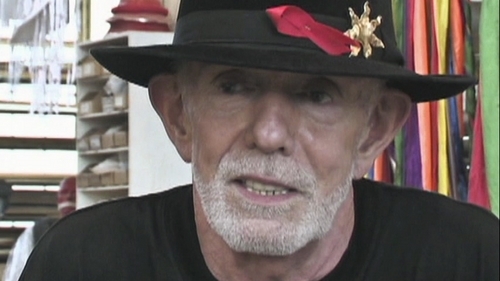 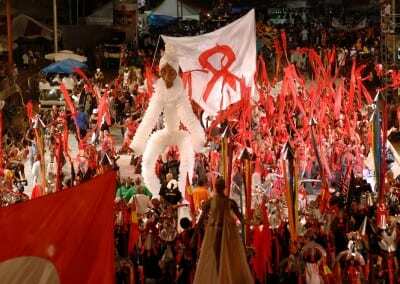 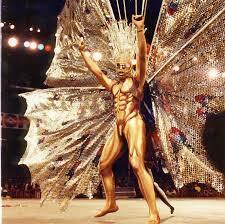 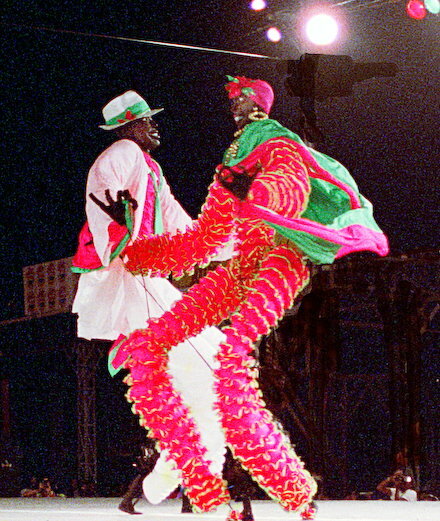 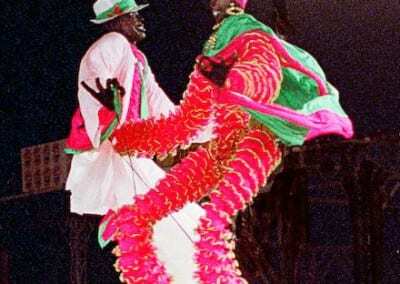 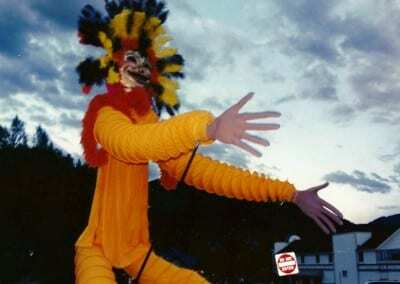 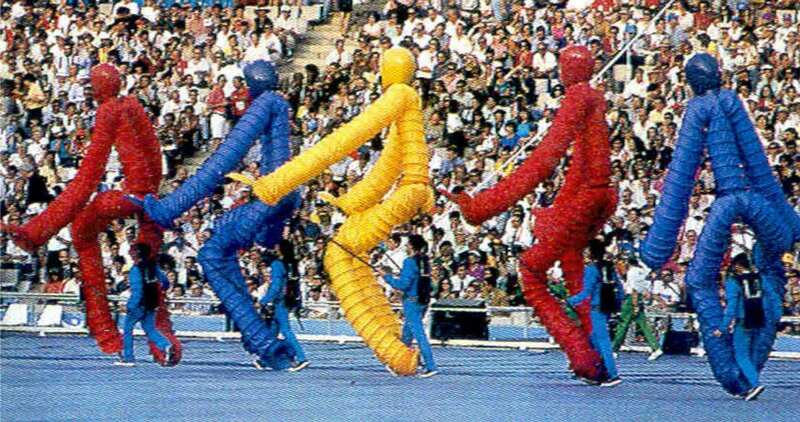 Minshall is credited for making a ‘living art form’ out of Carnival and introducing its power to the world. 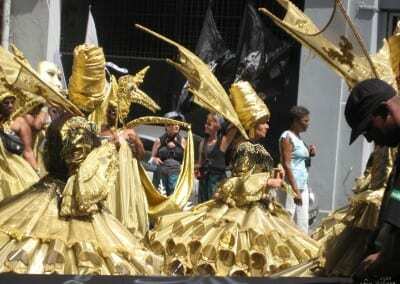 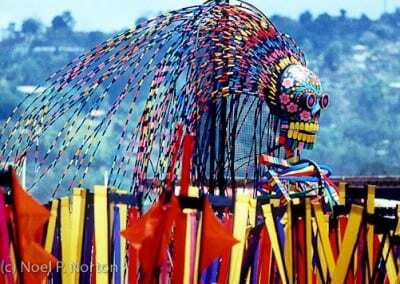 Minshall claims that mas is the”living art that we make fresh every year” and the truest artistic expression of Trinidad. 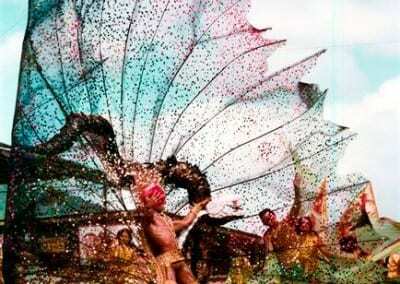 “Our aesthetic is performance, the living now.” He transformed mas into “high” art, as capable of the sublime or the universal as any other art form. 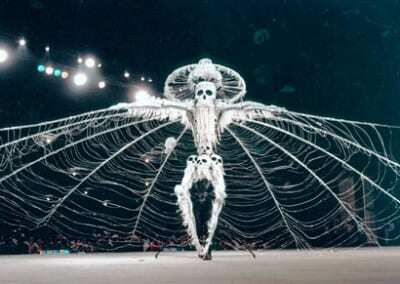 Peter Minshall has been the foremost artist working in the field of ”dancing mobiles”, a form of performance art that combines the three-dimensional quality of large-scale sculpture with the dramatic and choreographic expressiveness of a live human performer. 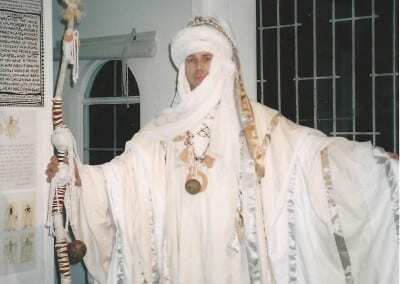 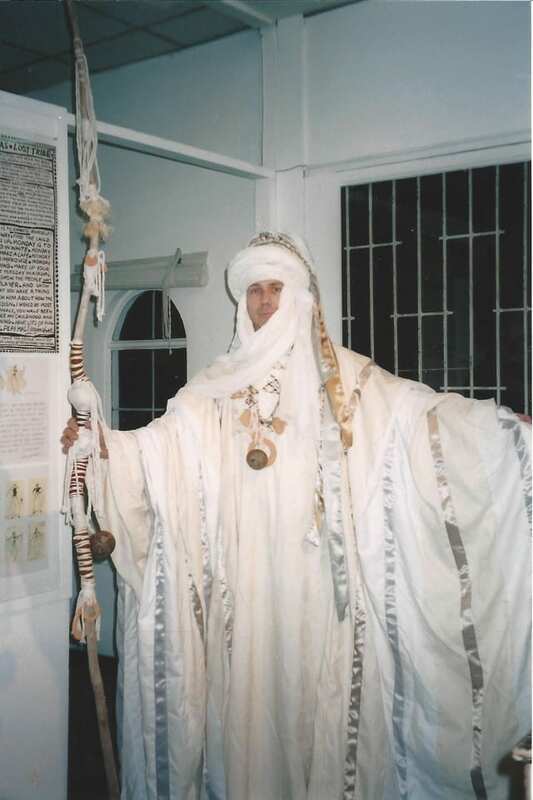 Minshall has long argued that mas is more than fancy costumes — it has the ability to make powerful social and spiritual statements. Since 1976, Minshall has designed 26 Carnival bands, each requiring feats of technical innovation and pushing back the limits of what Carnival can be. 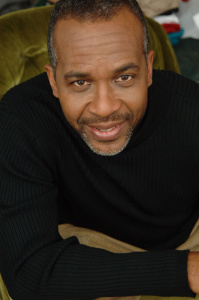 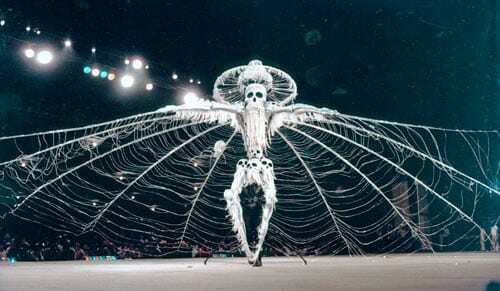 His biggest audiences have been for the massive spectacles he designed for the opening ceremonies of the 1992 Olympics in Barcelona, the 1996 Olympics in Atlanta, and the 2002 Winter Olympics in Salt Lake City. 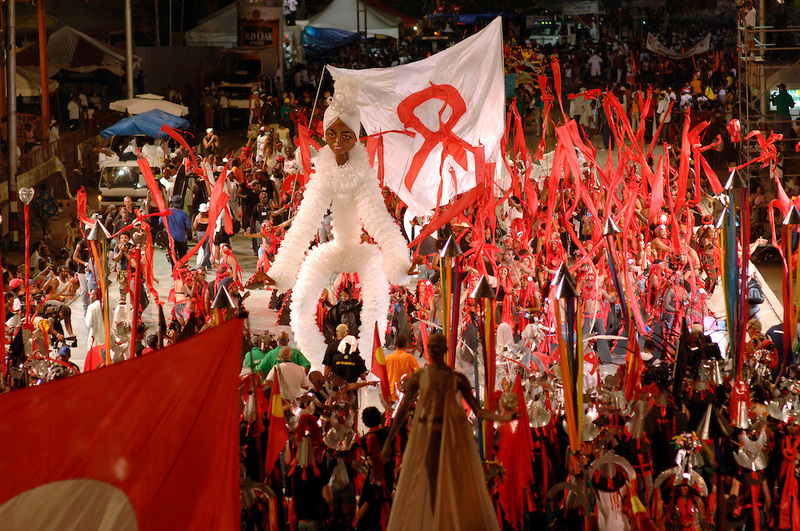 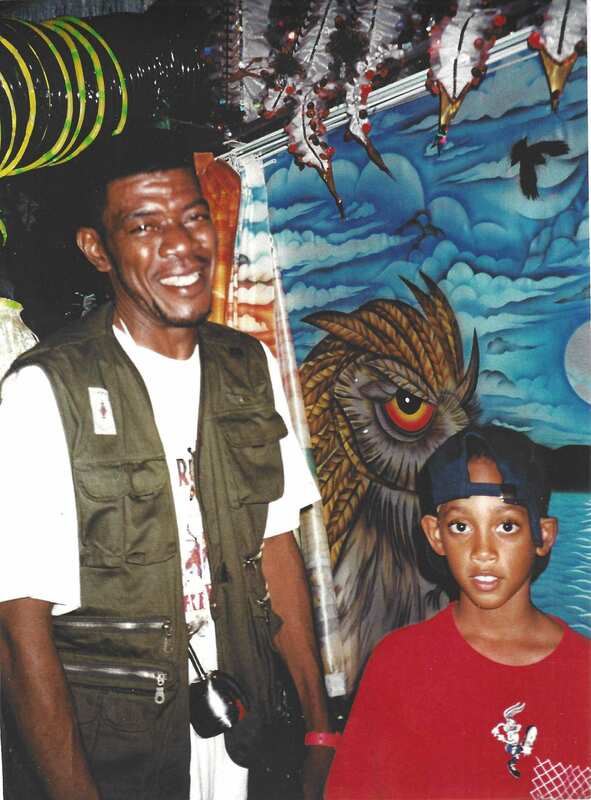 Minshall, whether designing for the Olympics or for Trinidad’s annual celebration, always held a mirror up to us and forced us to reflect on who we truly were. 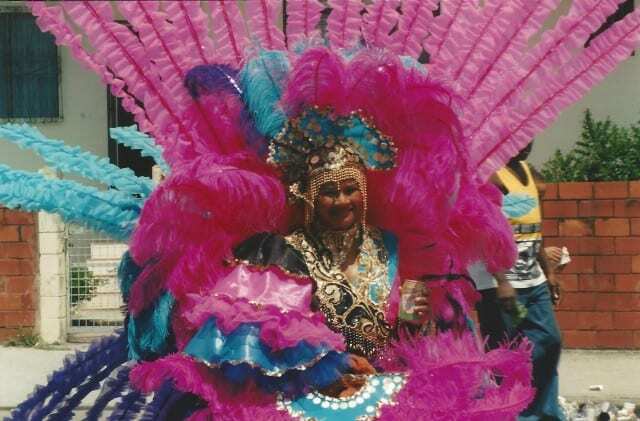 His mas was always inspired by the indigenous and traditional mas of bats, clowns, midnight robbers, indians, jab molassie and fancy sailors. 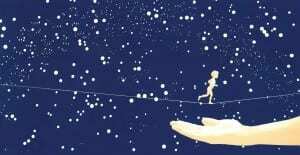 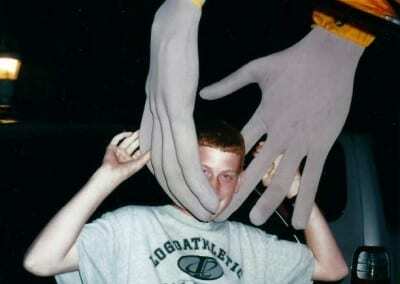 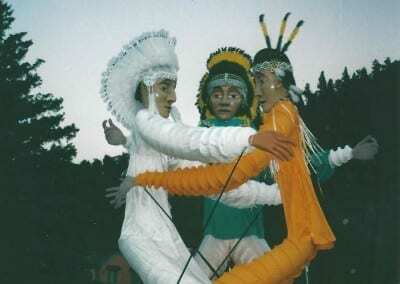 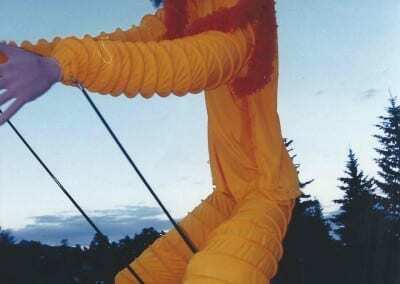 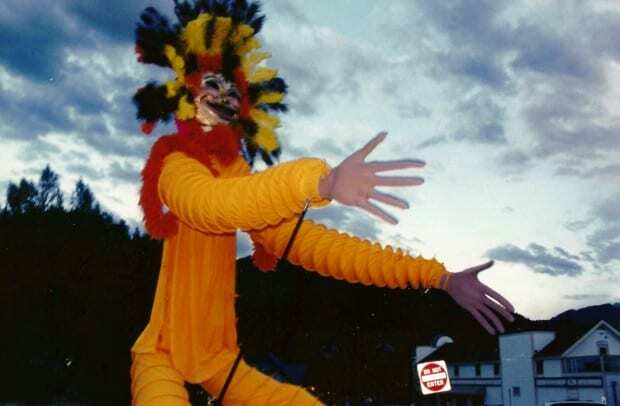 The Peace Pilgrims, our three 20 ft. puppets, began their journey on the island of Trinidad, West Indies, with people of great kindness and imaginative genius. 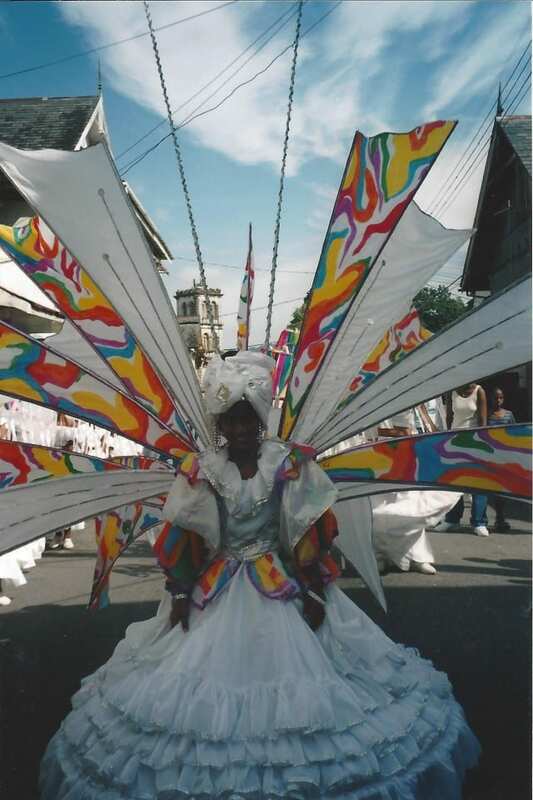 The people of Trinidad have a saying that “All Ah We Is One” and the Living Arts Corporation wanted to bring this spirit back to small town America in a celebratory spirit. 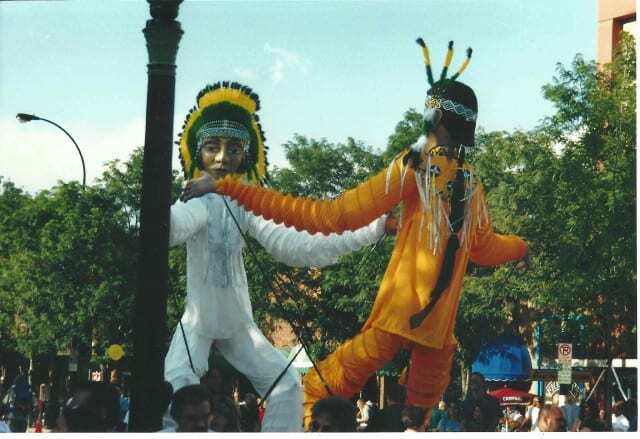 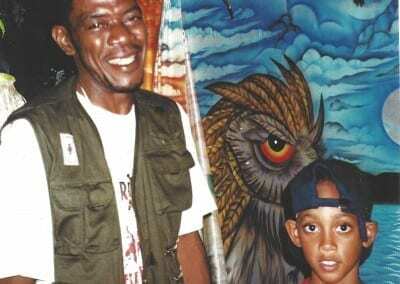 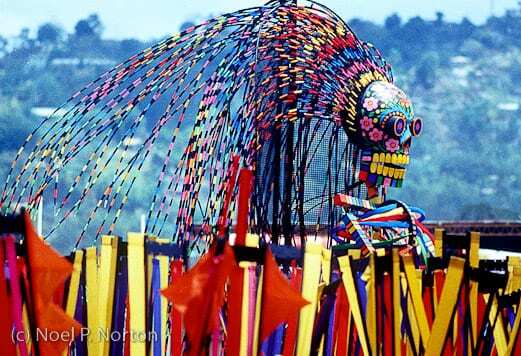 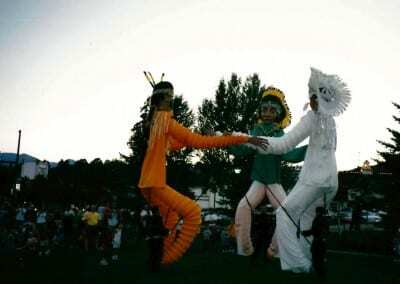 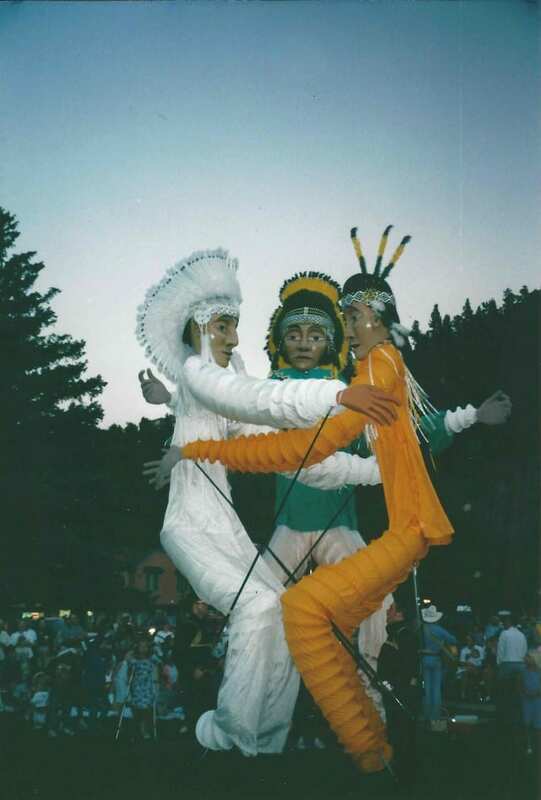 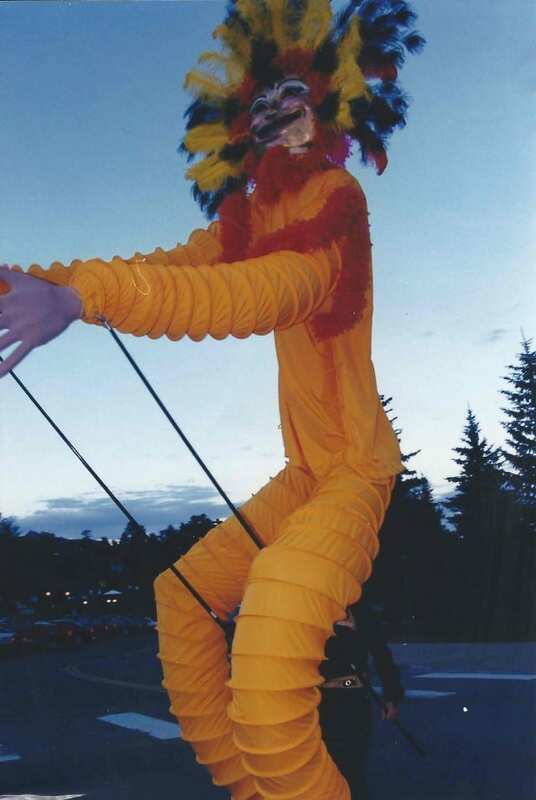 The 20 Ft. puppets were commisioned by the Living Arts Group and created by Pascal Ramkissoon, Herbert Dash, Lionel Jagessar, Lisa Mollineau, Merle Henry and Gerald Virra of Trinidad. 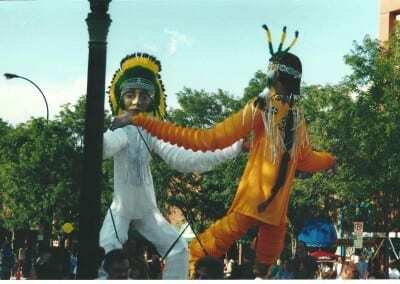 In Carnival history the Native Americans are considered a powerful symbol of freedom and hold an honored role in carnival celebrations around the world, thus the choice for the American Indian design. 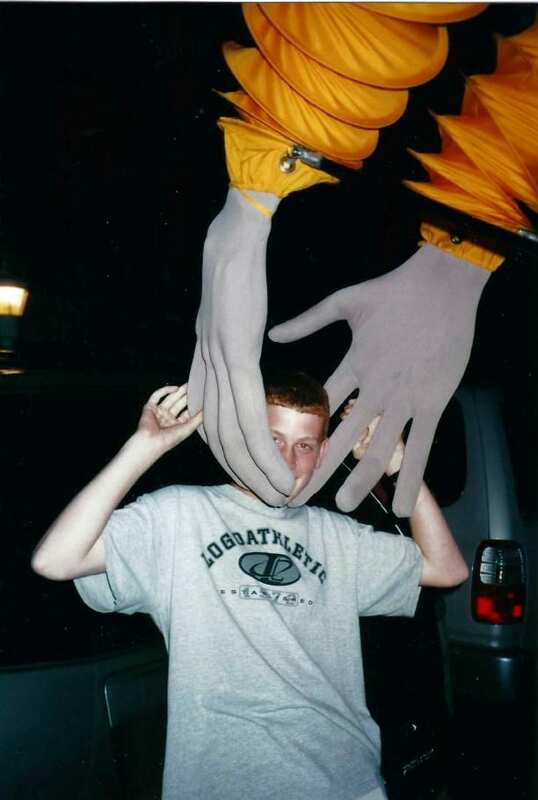 The puppeteers have been many but we are deeply appreciative of students from Luther College In Iowa for working tirelessly through many summer breaks. 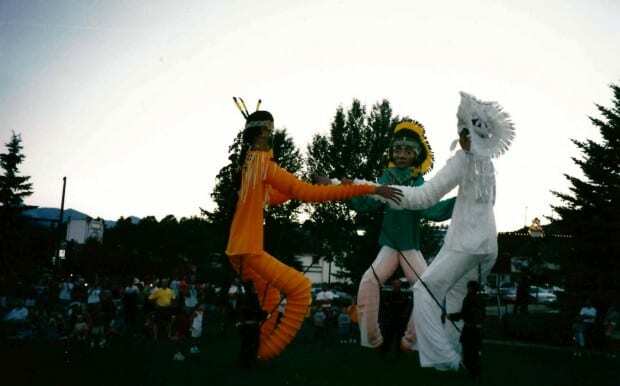 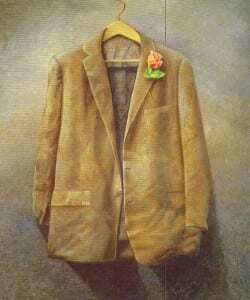 We also thank Rhian Ramkisson, Mario Sands, Steve Kluberstanz, Greig Steiner and Sandy Gleich.